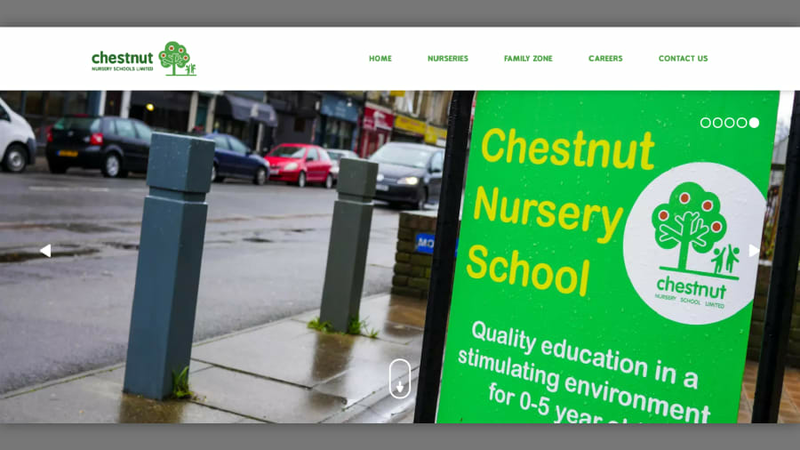 Chestnut Nursery Schools is one of the largest pre-school education businesses in the UK. DH Productions was given the task of designing and developing a large, completely new website for the company, along with several other pieces of visual branding. 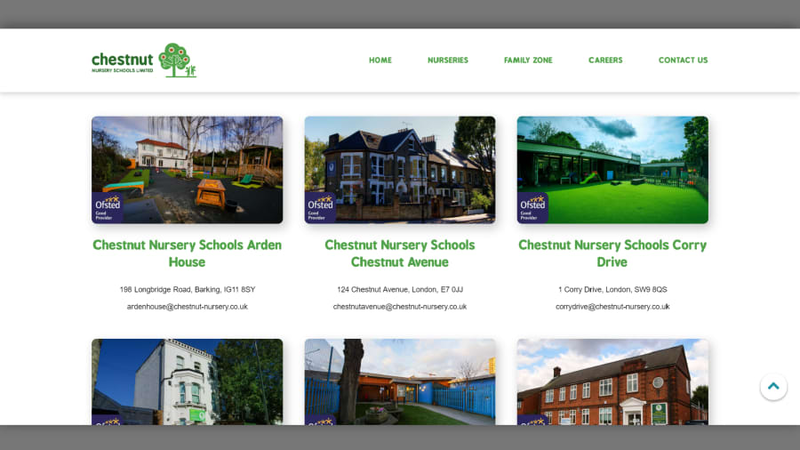 Chestnut Nursery Schools is one of the largest pre-school education businesses in the UK. DH Productions was given the task of designing and developing a large, completely new website for the company, along with several other pieces of visual branding. 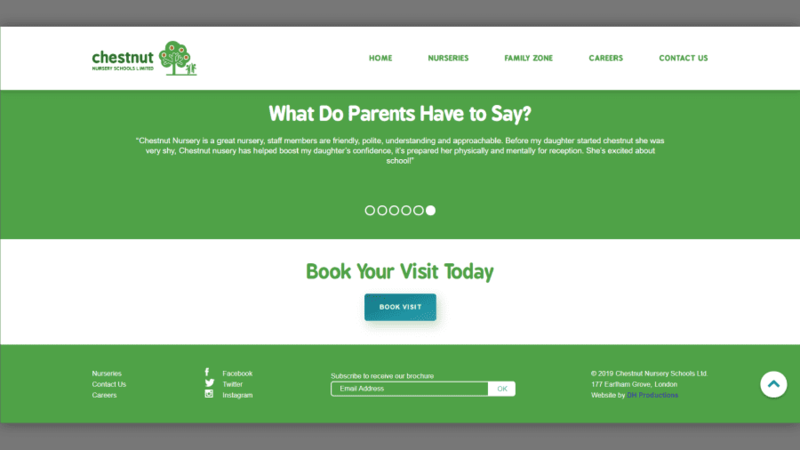 The website needed to align with their current brand, and provide them with an increased source of traffic. 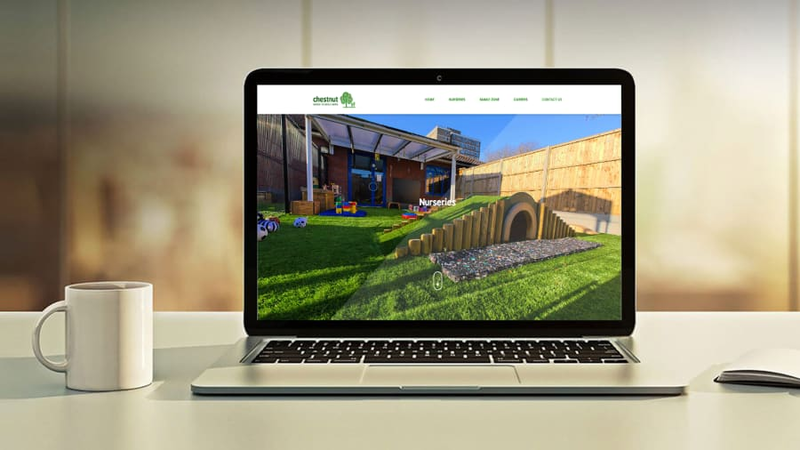 The overall aim was to generate more leads for their nurseries through the website. 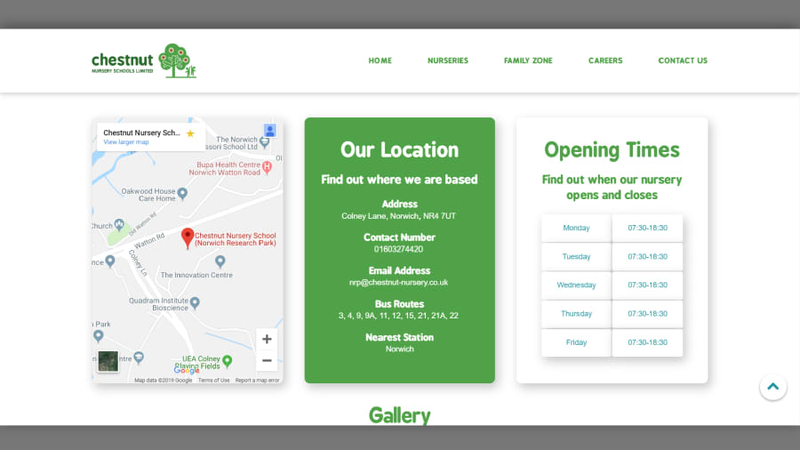 Check out the final result below or follow the link to see the existing site. 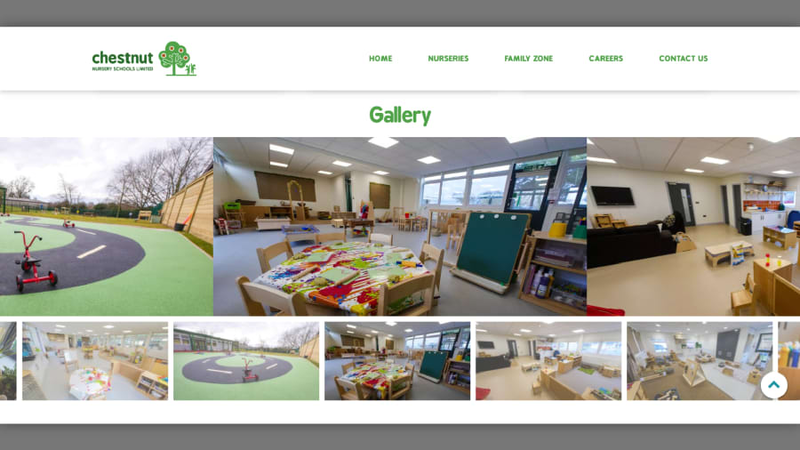 The website has seen increased traffic each month, and with our other products, the nurseries have seen a raised level of interest and occupancies as a result.